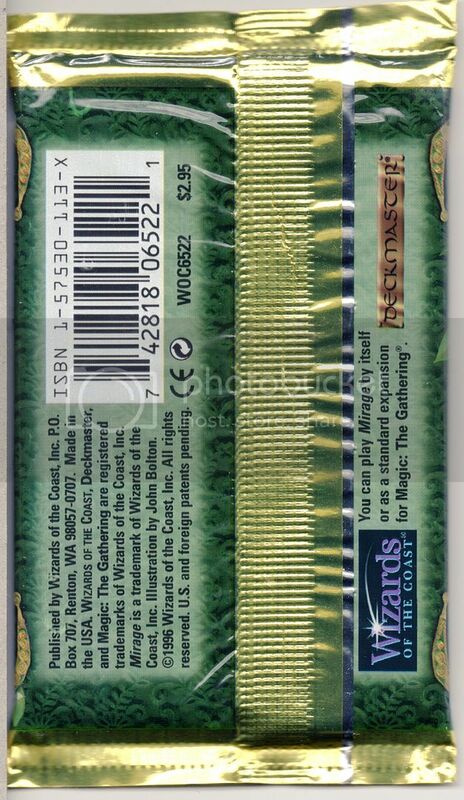 Does anyone know of any other crimping variations within Exodus or if there were multiple crimp types for other expansions? 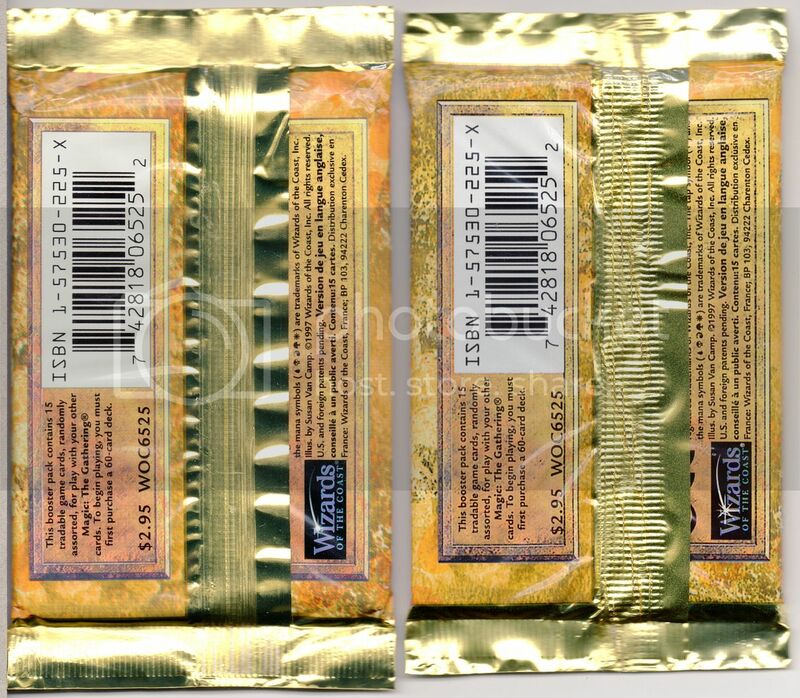 I distinctly remember opening the waffle crimp packs during the Mirage-block and finding the line seals strange, when seeing them for the first time. Too bad I cannot remember the time frame any better. Global old art Lightning Bolt collector, mainly missing fwb and Summer. Maybe a Made in USA( Pre Release Pack)s and Made in Belgium(regular Packs) issue ? 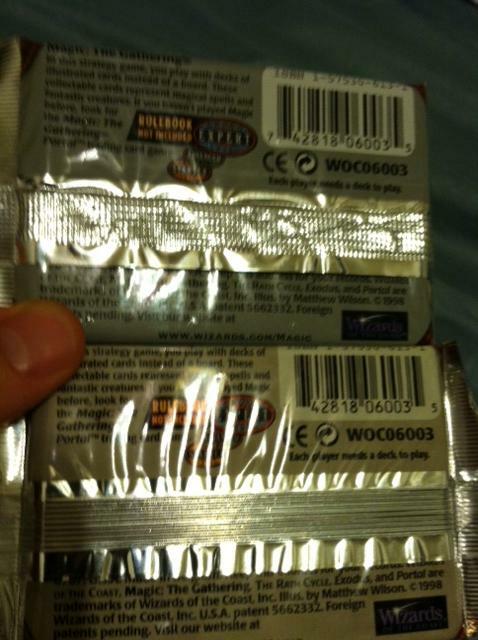 mmgun wrote: Maybe a Made in USA( Pre Release Pack)s and Made in Belgium(regular Packs) issue ? 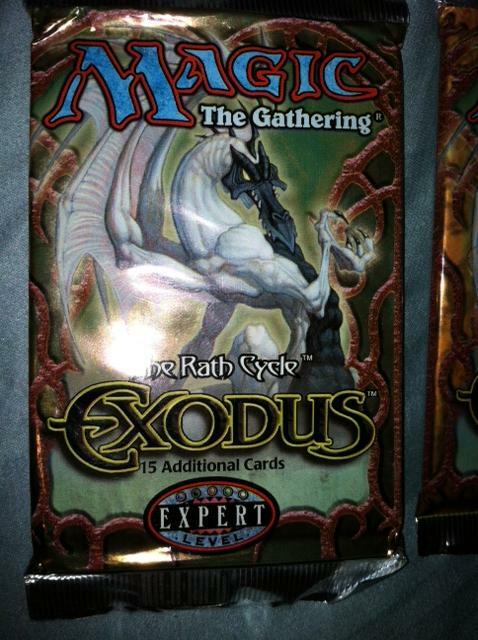 I was about to write the same thing, will be interesting to check about it, as in that case, I will need a Second Exodus Booster for my Sealed booster Collection. I just checked mine it says in French "Exclusive Distribution in France by Wizard of the Coast France". I own a Light One with the waffle crimp. But similar conclusions were drawn aswell. 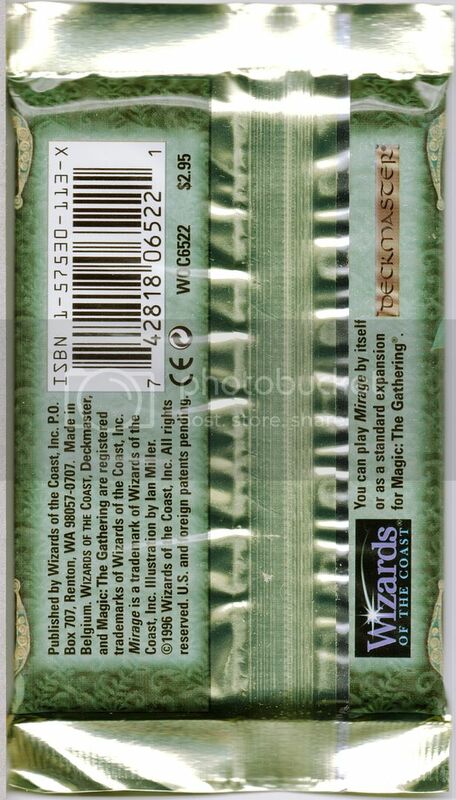 Underneath the seal, it should say where each was printed, but that's only visible if you're willing to fold up the seal, which globalboosterhunter was not, as it would no longer be a mint pack. Last edited by berkumps on Tue Aug 27, 2013 3:05 pm, edited 1 time in total. Thanks for the link berkumps. I did a forum search before posting but didn't find the link you provided. 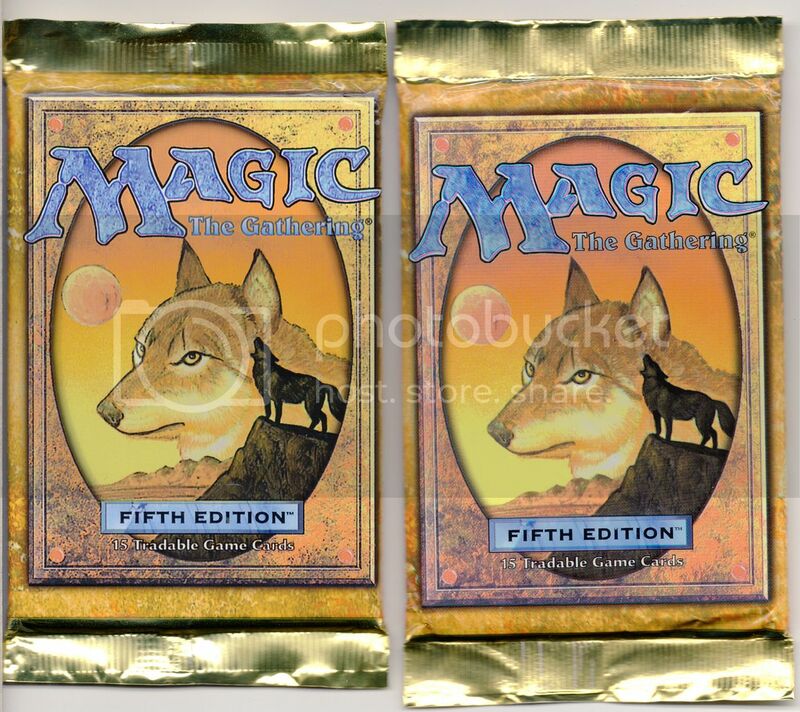 My question still stands though, does anyone know of other editions that have this or similar variation. I'd like to know so I can search out the variants I don't have. But similar conclusions were drawn aswell. 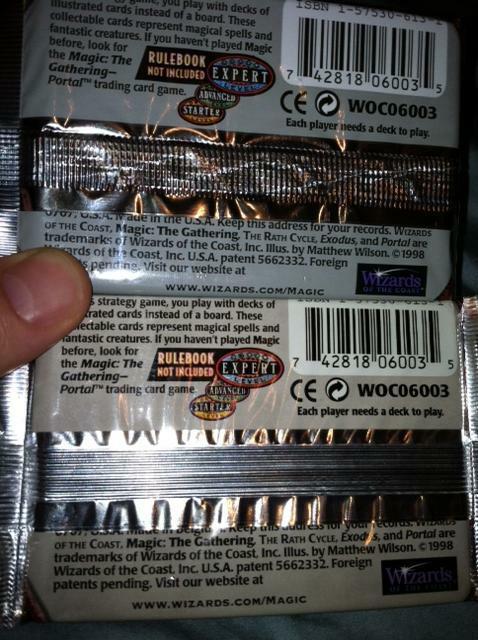 Underneath the seal, it should say where each was printed, but that's only visible if you're willing to fold up the seal, which globalboosterhunter was not, as it would not longer be a mint pack. No need to fold up the seal, just lift it carefully, to see what's written under, that's what I did. I will have a look under the tab when I manage to dig them out. Not sure where I put them all at the last tidy up. I am still on the look out for other examples of this but I have not come across any so far. I also haven't come across any doubles so I think they must be a relatively low print run but with such small numbers it is hard to be sure. So one is made in Belgium and one is made in the USA. Probably the Belgium variety appear rarer in the USA and the USA variety is harder to find in Europe. 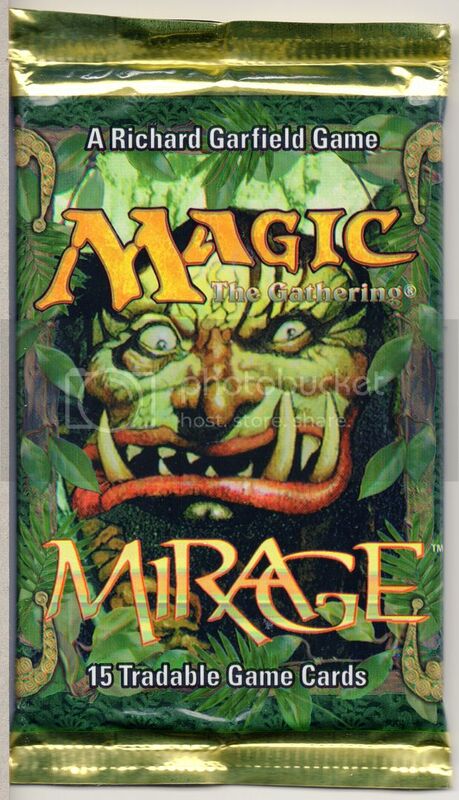 At least we now know what to ask for when buying packs. I will check some of the others to see if they are the same. 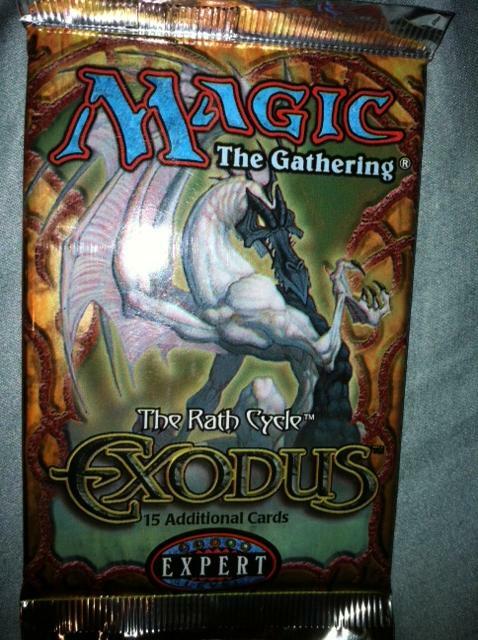 Great, so now, I need to find an Exodus Booster "Made in USA", as the one I have is "Made in Belgium", and the Japanese one also "Made in Belgium". 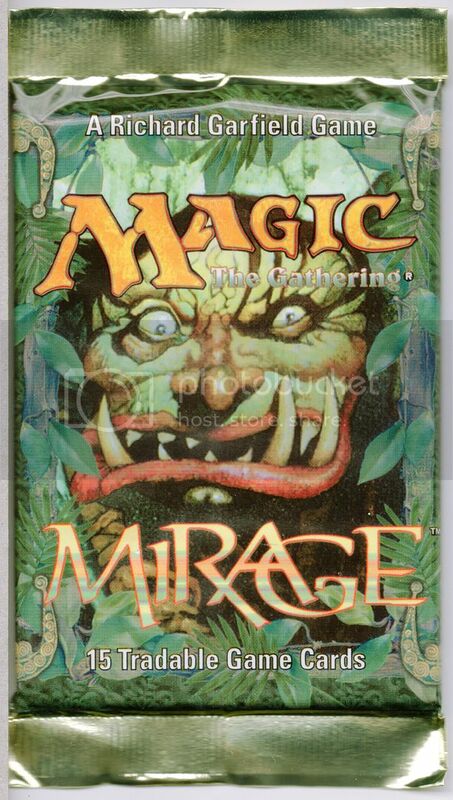 I know Mirage had starters printed in both US and Belgium, not sure about boosters, but that's the earliest set I know about that has both printings (other than alternate 4th). Pretty sure I have two different types of Mirage boosters. Some had very golden ends and some were dull looking. Same differences in the sealing as well. I have scanned them so I will dig out the scans when I get home. I knew I had some around here.